The British Virgin Islands is a popular jurisdiction for offshore company formation, given the many tax benefits offered in comparison to other jurisdictions. It is, however, very important for entrepreneurs to be aware of the key characteristics of the jurisdictions they consider offshore company incorporation, in order to clearly assess the advantages and disadvantages in relation to their particular business and activities. Given the multitude of tax evasion cases that have taken the forefront in the news headlines over the past few years, evaluating certain areas of concern such as location, transport, culture, policy, taxes and business will assist in determining whether British Virgin Islands is a legally compliant and efficient option for your business operations. The British Virgin Islands (BVI) is located near Puerto Rico, in between the North Atlantic Ocean and the Caribbean Sea, covering a land area of about 151km2 making it the 216th biggest country in the world. Virtual office technologies and legislation make it possible to operate a BVI business from just about anywhere in the world. Given that the majority of entrepreneurs and companies conducting offshore business through the British Virgin Islands’ jurisdiction do not actually operate or live on the islands, BVI transport options are generally irrelevant in the company’s business decisions. That being said, the British Virgin Islands is accessible by plane, as there are 4 airports on the BVI, of which 2 have paved runways. There are paved roads within the BVI and another transport option for moving between the islands is by ferry. The people who live on the British Virgin Islands are known as British Virgin Islanders. BVI’s population totals about 31,900 people (CIA World Factbook 2013), growing at an average rate 2.4%. Over 80% of the population is of black ethnicity and slightly fewer than 8% are of white ethnicity. The official language on the British Virgin Islands is English and almost all British Virgin Islanders are literate (CIA World Factbook 2013). The British Virgin Islands’ importance is commonly known to arise from its policies and the tax benefits it provides for offshore entrepreneurs. However, this has led to people often perceiving BVI to be an international tax haven. In the hopes of changing these perceptions, the BVI have recently agreed to comply with the guidelines set by the Organisation for Economic Cooperation and Development (OECD) for exchange of tax information between the BVI and other countries, hence making it to the OECD’s white list. The most common business structure for offshore entrepreneurs is as an IBC – International Business Company. IBCs typically involve private companies limited by shares and are governed by the International Business Companies Act of 1984, and some subsequent act amendments. The key requirements for a BVI IBC are to have at least one director and one shareholder, who may be of any nationality and reside anywhere in the world. BVI IBCs cannot undertake business on the British Virgin Islands, with British Virgin Islanders, and cannot undertake any form of business that legally requires a license e.g. Insurance. Given that by law there are no onshore activities, the company should therefore have no locally sourced profits and is as a result, 100% tax exempt. The British Virgin Islands is a major center for offshore business activities, with over 500,000 companies on its Companies Registry. Onshore, tourism is the main driver of the BVI economy, contributing to about 45% of total GDP (CIA World Factbook 2013). The BVI is an extremely stable jurisdiction and one of the most prosperous of Caribbean economies. This is reinforced by the US dollar being the official currency on the BVI, which can significantly reduce foreign exchange fluctuations for certain companies. Running a BVI offshore business is generally simple, given most activities do not require licensing. Company incorporation in the British Virgin Islands is relatively simple and can be done efficiently with the aid of specialized professional services firms, which helps ensure compliance with the law and an overall smooth process for starting the business. As previously stated, the most common business structure for an offshore company in the BVI is as an IBC – International Business Company, for which the main requirements are to have one director and one shareholder. A BVI IBC is not required to keep financial accounts, but if it does, there is no requirement for an annual audit. Furthermore, there are no minimum capital requirements when setting up a BVI company and shareholder / director meetings may be held anywhere in the world, even via telephone. 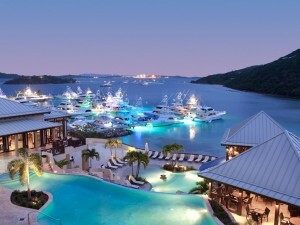 In conclusion, British Virgin Islands is an extremely popular choice for company incorporation. Having the possibility of 100% tax exemption and no legal requirements to be tied down to a particular location of business, company setup in the BVI is not only a logically beneficial choice for incorporation, but also an extremely easy and convenient one.